Yan Emperor and Yellow Emperor are regarded as the common ancestors of Chinese nation. Huaihua meaningfully has historical and cultural relations with Yan Emperor, Yellow Emperor, Chinese culture, Chinese agriculture and TCM. Yan Emperor is also known as Shen Nongshi, Lie Shanshi. As the latest academic report shows that about 5500 to 6000 years ago, he was born in the current Lianshan area, Huitong county, Huaihua city, as the leader of a tribe. He guided people making farm tools, planting many kinds of corn, and running the market for the first time. Planting hemp and then making it into cloth, so that people can wear clothes. Making musical instruments, so that people can play music. Cutting wood for the bow, showing power to the world. Making pottery, which enable people have a better life. He inherited the Fuxi Eight Trigram and then created the Lianshan I Ching ( Book of Changes). Yan Emperor was also the founder of the tea ceremony. He tasted hundreds of herbs and created the traditional Chinese medicine. It was said that Yan Emperor tasted a toxin herb, which caused his death finally. In honor of his great contribution to Chinese agriculture and traditional Chinese medicine, people used to call him “Shen Nongshi”, i.e., God of Agriculture. Because of his fire morality, also referred as Fire-God. High Temple Cultural sites: High Temple Culture from 5300 to 7800 years ago or so. From 1986 to 2005, after 3 times of archaeological excavations, people found the distribution of about 30000 square meters of sites in the present Anjiang Chatou village, Huaihua city, on the first level of the ground of north shore of Yuan river, unearthed a large number of exquisite crafts of pottery and religious sacrificial arts, which is the origin of studying Chinese prehistoric human religious sacrificial activities, behaviors and cult. It is also a representative of the culture development into the highest summit in the Neolithic Period. High Temple Culture was subsequently spread to many areas of China; it has a profound influence on the development of Chinese culture. From High Temple Cultural sites to the Lianshan, Huitong county, it is about 60 kms, so people guess that Lianshan was Yan Emperor's administrative center, and the High Temple was Yan Emperor's religious sacrificial place. People’s Daily reported the results of Archaeological Discoveries of 2005 on Jan. 11th, 2006. The sites of Neolithic age of Gaomiao in huaihua, Hunan, came in second on the list. Some white pottery pots unearthed in Gomiao site were also engraved with phoenix and it did not faded through the years. Verified by experts, the phoenix of yuan river born 400 years before the Hemudu phoenix. Moreover, the birth place of hybrid rice also lies in Gaomiao culture which is the provenance of the world civilization as well. And all the images engraved on the sacrificial utensil, the phoenix, the sun, the fangs symbolize our religious belief. The reason why people in Gaomiao culture believe in natural god comes from their faith in god and that’s why they engraved those images on the pottery pots. In order to earn the grace and blessing of god, they made those sacrificial utensils with the best skills, materials and color scheme. White pottery pots naturally came from the devout religious behaviors of the owner in Gaomiao culture, they are exactly the gift to the god. We can say that it is the energy of the religious belief that let people with different backgrounds accept even pursue Gaomiao culture. The spread of Gaomiao culture is justsupported by the owner’s religious faith. Gaomiao culture is not only a milestone of Chinese civilization but also the milestone of the world human. There is a saying here, “seven thousands years produce two Agricultural Gods”, we are talking about the present academician Mr. Yuan Longping, who is honored as "the father of hybrid rice in the world". Mr. Yuan Longping was born in Beijing in 1930, graduated from Southwest Agricultural College. He was assigned to work at "Anjiang Agricultural School", Hongjiang district, Huaihua city. From 1965 to 1973, after eight years efforts, he had successfully developed and cultivated the hybrid rice, which has solved the food security problem of the 1.3 billion Chinese people and benefits rest of the world. TCM holds that medicine and food have the same origin. The two ancient and modern agricultural giants both made huge contribution to the Chinese nation in Huaihua district. In April 2008, the “Anjiang Agricultural School Hybrid Rice Memorial Hall" was opened, the Anjiang Agricultural School, which Mr. Yuang Longping had been worked for many years, was fully retained after the Chinese government’s permission, in recognition of his great contributions. Yellow Emperor, was born in Henan Xinzheng area in 2717 B.C. He unified all Chinese tribes; and because of the splendid morality, he was respected as the "Yellow Emperor". During the period of his reign, he planted hundreds of cereals and vegetations, developed production vigorously, and started to make clothes, vessels, vehicles and melody. He discussed medical skills with Uncle Qi and other people, handed down the first theory classics of TCM - The Medical Classic of The Yellow Emperor, which established the theoretical foundation of traditional Chinese medicine (TCM). Doctor Zhu Ming, who was born in 1968 in the present Anjiang town, Hongjiang area, Huaihua city, graduated from Hunan Traditional Chinese Medicine University in 1991. 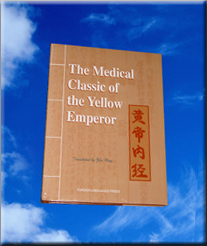 From 1992 to 2000, after eight years’ efforts, he translated The Medical Classic of The Yellow Emperor from Chinese into English successfully, and this translation was published by Beijing Foreign Languages Press, and marketed to more than 100 countries all over world. Mr. Zhu Ming is the president of “Zhongfang Red Cross International Hospital” in Huaihua city now. Dr. Zhu Ming has been focusing on the birthplace Huaihua city, the hometown of traditional Chinese medicine (TCM), carrying forward the traditional Chinese medicine. He will lead his team to build the world's first pure traditional Chinese medicine service brand, promote the Traditional Chinese Medicine further into the world, and benefit the people all over the world. Huaihua city, located in the centre position of the southern China, southwest of Hunan province, covers an area of 27,600 square kilometers, administrates 13 counties (cities, districts), with a population of 5.08 millions. The urban area is about 53.8 square kilometers. The population of permanent residents is 520,000. Huaihua city has good ecology, rich natural resources, and tremendous development potential. It is the national famous "town of various wood", "town of fruits" and “town of herbal medicine”. The city's forest coverage rate reached 68%, which ranked the first in Hunan province, and it is also one of the nine good ecological areas in our country. 19980 million square meters forest land, 13 nature reserves and forest parks, which make Huaihua to be worthy of the name "original ecological botanical garden" and "natural oxygen bar". It is known as a "breathing city". Huaihua is far away from the air-polluted areas in China. Good ecological environments possess abundant natural resources. The city yields more than 1900 kinds of medicinal plants. Production of poria and gastrodia is ranked the first of the nation. Huaihua has a long history, humanity and culture gathering together, also has rich folk customs. Here, the attractive scenic spots and historical sites, natural landscapes, local conditions and customs, attract many Chinese and foreign visitors to come here. Han, Dong, Miao, Yao, Tujia, etc, these 49 nations live in harmony and develop comprehensively, which created a colorful "Five River Culture". Comparable to the ancient capital of Xi’an, a relics town called Qian Zhongjun is world famous. Ancient Commercial City, is known as the "living fossil" in the budding period of capitalism of Ming (1368-1644A.D.) and Qing (1636-1911A.D.) dynasties. The toppest sight-seeing tower, called Lotus Tower is well-known for a significant poet, Mr. Wang Changling in Tang Dynasty (618-907A.D.). All these sites have profound historical and cultural backgrounds. The famous Zhongfang Jingping Ancient Village and Huitong Gaoyi Ancient Village showed Huaihua people's superb architectural art since ancient times. Zhijiang Surrender Acceptance Museum, as the only one landmark building in China to commemorate the victory of the Anti-Japanese war, is the historical testimony of the victory of the world anti-fascist war, the Chinese nation's intrepidity and unity of the anti-Japanese war. Xiang Jingyu, Su Yu, Teng Daiyuan, etc., all these older generations of proletarian revolutionaries were born here. "The Father of Hybrid Rice", Mr. Yuan Longping developed and cultivated the hybrid rice here, and spreads it to the world. Since the successful host of “the 2nd Chinese Ancient City, Ancient Town and Ancient Village Forum”, after awarded as "the Chinese First Ancient City, Ancient Town and Ancient Village Community" by the National Tourism Bureau, tourism of Huaihua has raised further, the total amount of tourists reception was about 12 million visitors in the city in 2010. From Huaihua city to the Chinese tourist resort Fenghuang, it is only 83 kilometers; to Zhang Jiajie, it is 228 kilometers; to Guiling, it is 302 kilometers; to Mao Zedong's Former Residence-Shaoshan, it is 516 km. In 2013, Huaihua was awarded as "the Chinese 12th Most Harmonious City". Huaihua has unique historical background, humanistic background, geographical environment and ecological environment, which created its unique charm of Chinese religious culture, agricultural culture, TCM culture and ecological culture. All of these are attracting great interest and attention of Chinese people and people over the world. You are welcome to Huaihua!